A holiday tradition for many families at the Walt Disney World Resort is to ride the monorail and other Disney transportation to look at all of the decorations around the resort and the hotels. 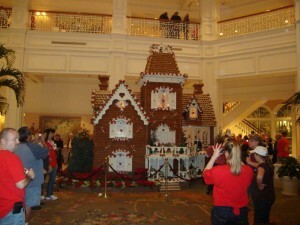 The most popular destination outside of the theme parks is the Grand Floridian Resort that has a life size Gingerbread House. 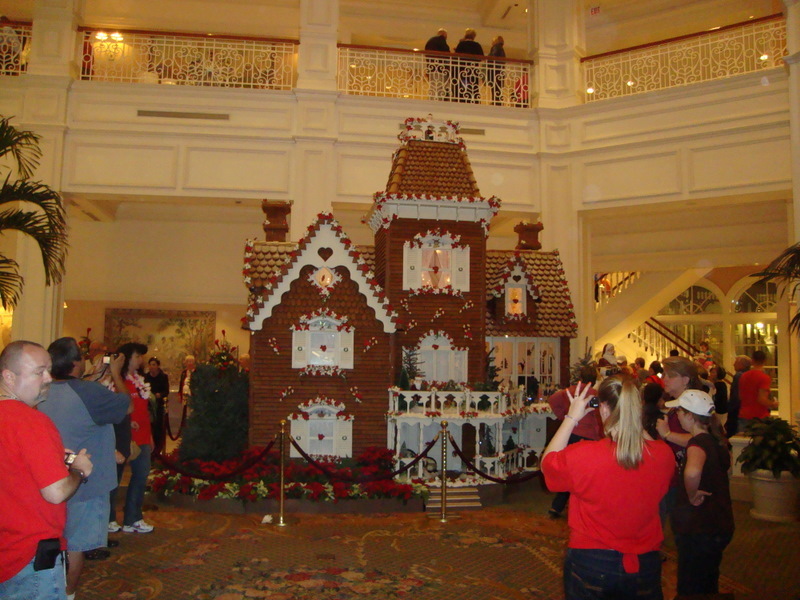 The Gingerbread House is constructed each year in the lobby and atrium of the Grand Floridian and is made out of over 1,000 pounds of honey, 800 pounds of flour, 700 pounds of chocolate, 600 pounds of powdered sugar and 140 pints of egg whites. The Gingerbread House is open from 10am – 10pm daily. For more gingerbread fun, check out the Gingerbread Tree at the Contemporary Resort and the Disney Character Gingerbread House at the Boardwalk Resort starring Donald Duck and Daisy Duck. This entry was posted in Attractions and tagged activities, christmas, december, disney world, holidays, hotels, things to do. Bookmark the permalink.